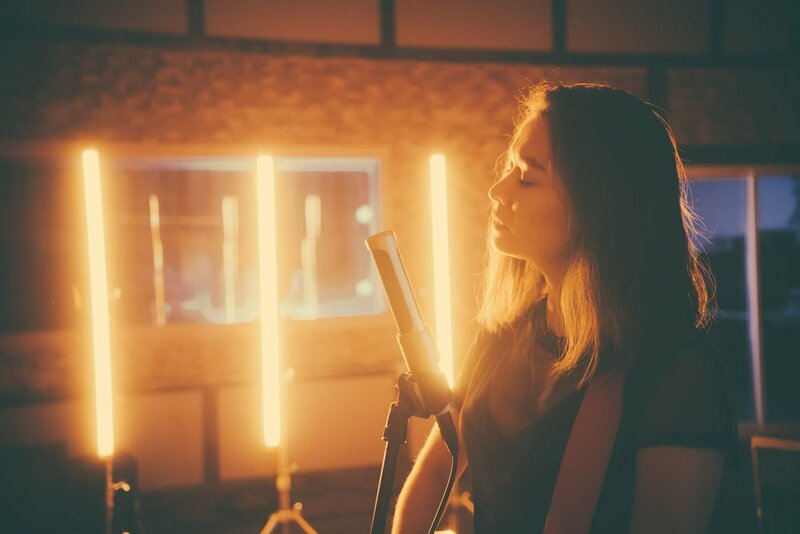 This installment of our AEA Sessions video series features New York based singer-songwriter, Mitski, as she performs three songs from her 2016 album, ‘Puberty 2’. 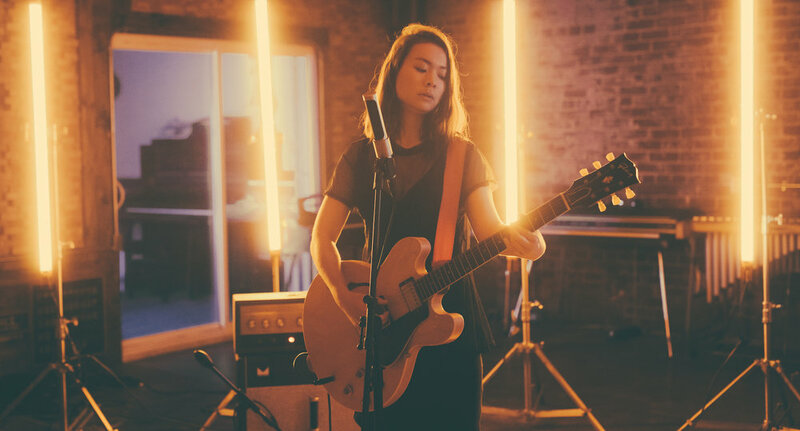 Alone with her guitar and washed in a warm, orange glow, Mitski delivers dynamic performances that explore a range of texture and tone. In ‘My Body Is Made Of Crushed Little Stars’, she sings of youthful restlessness while her guitar roars with energy and ferocity. In contrast, her words of somber sympathy in ‘I Bet On Losing Dogs’ ring most true atop her delicate finger-picked guitar playing. In these sessions, Mitski’s voice and guitar come together to create singular, evocative moments that linger in the mind. To best capture these moments, we rely on the simple, but effective combination of the near-field N22 and far-field, stereo R88. Both Mitski’s vocal and guitar cab are recorded by the near-field NUVO N22, while the stereo R88 records the room. All tracks are without equalization or compression and the reverb is provided by a plate reverb unit. In terms of message though, Mitski cuts the same defiant, feminist figure on Puberty 2 that won her acclaim last time around (her hero is MIA, for her politics as much as her music). 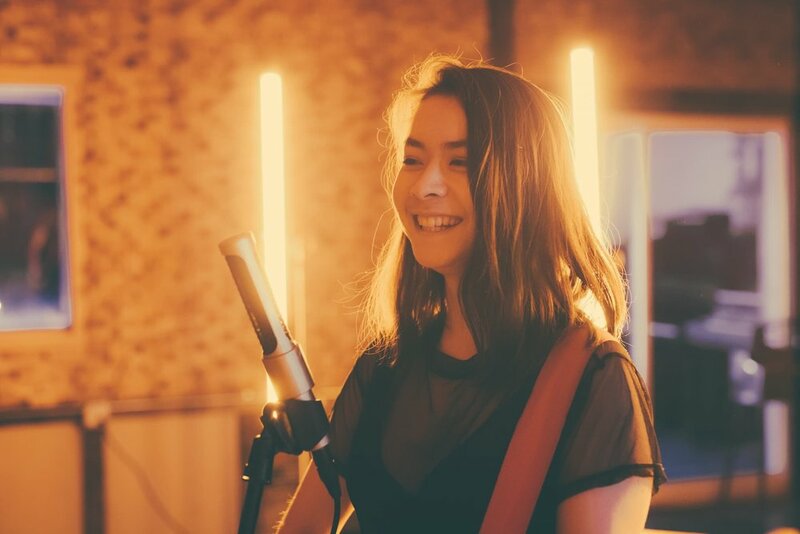 Born in Japan, Mitski grew up surrounded by her father's Smithsonian folk recordings and mother's 1970s Japanese pop CDs in a family that moved frequently: she spent stints in the Democratic Republic of Congo, Malaysia, China and Turkey among other countries before coming to New York to study composition at SUNY Purchase.